There are currently no Special Offers available for the fall and winter season. Spring Special - 25% SALE on every other window! 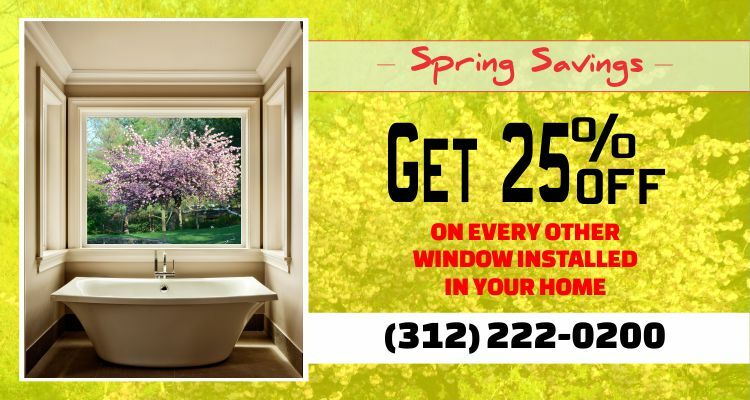 When you order windows and installation through us you’ll receive 25% discount on every other installed window. Make sure you mention this offer when calling for a quote! Call (312) 222 – 0200 for details. 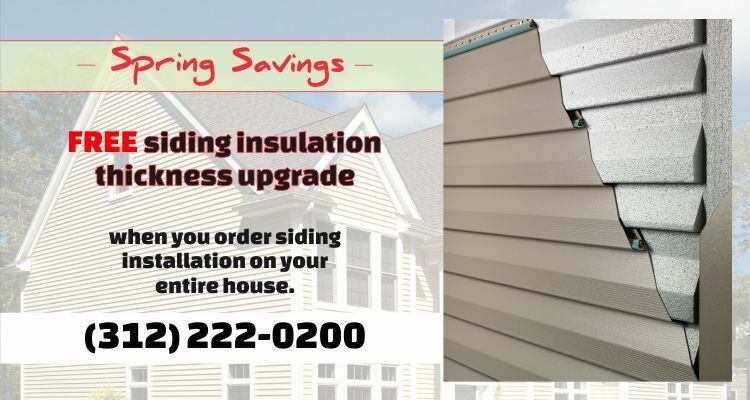 We’ll provide FREE siding insulation upgrade to the next thickness when you purchase siding and installation on your entire house through us. Make sure you mention this offer when calling for a quote!